Millennials don’t have it easy – homeownership rates for millennials are down compared to other generations, and their retirement savings are far below what they need to be, on average. This extends to car insurance as well. 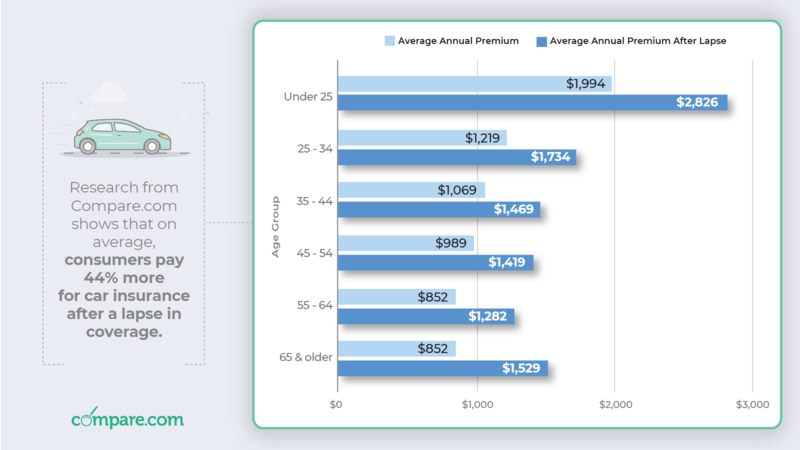 Millennials pay significantly more for car insurance than other generations, and worst of all, are far more likely to drive uninsured. 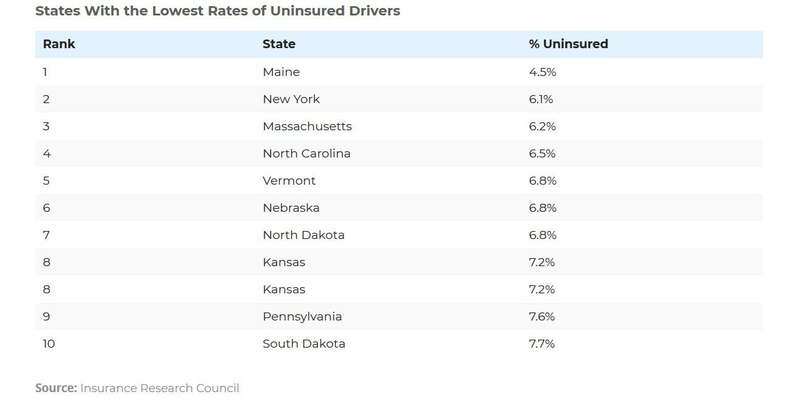 Unfortunately, driving while uninsured has its own costs, too. 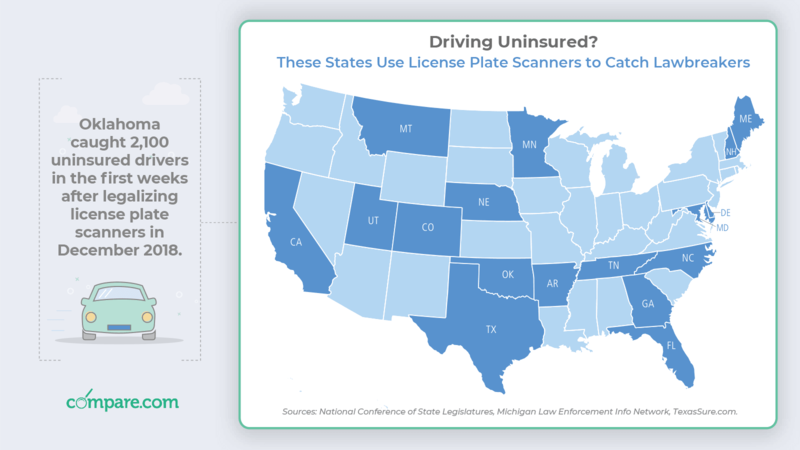 We typically think of the consequences of driving uninsured as being mostly legal – when an officer asks you for insurance and registration, you don’t want to be caught light-handed. However, driving while uninsured is expensive, too. Compare.com found that drivers who let their auto insurance lapse pay 44% or more for their car insurance policies than drivers who have kept up with their payments. There are also substantial legal penalties for driving uninsured. 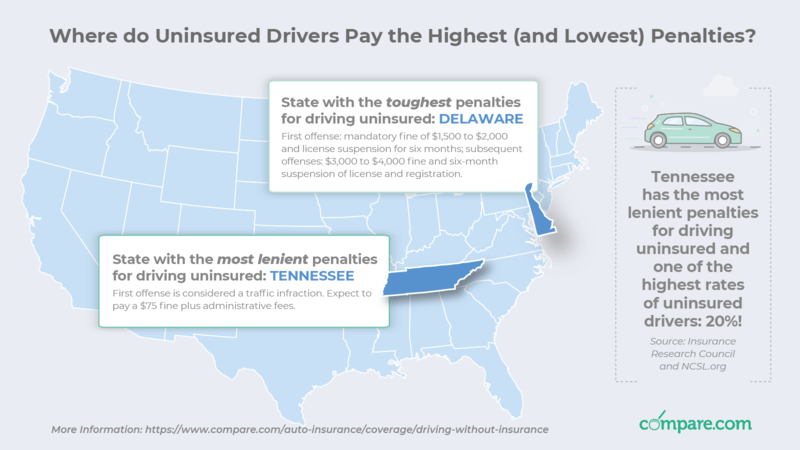 In Delaware, uninsured drivers can face a mandatory fine of $1,500 to $2,000, and a license suspension for six months. Penalties vary substantially by state – for example, in Tennessee, it’s considered a simple traffic infraction – but the financial cost will get you no matter where you live. The reasons why drivers are letting their policies lapse may vary. A lot of them may have just stopped driving and assumed they wouldn’t need it anymore. But even if you’re not getting behind the wheel, car insurance companies won’t cut you any slack. “Even if someone has no plans to drive their car during the period of non-payment, insurance companies can define the policy as lapsed, meaning when they try to renew the policy, the premium cost can be substantially higher,” according to Andrew Rose, CEO of Compare.com. The solution? If you’re hanging up your driving gloves, call your car insurance company and ask them to change your policy to comprehensive-only. This will ensure your car from damage while it’s sitting in the driveway (for example, if a tree falls on it) while not insuring you for any driving. This will be substantially cheaper than leaving your policy alone and will save you money over the long-term. And if you’re currently insured? You might consider uninsured motorist insurance. It helps ensure that if you’re in an accident with a driver without insurance, you’ll still be covered. It’s typically an inexpensive add-on to a policy, and can save you some pretty significant headaches if you encounter an uninsured driving on the road.